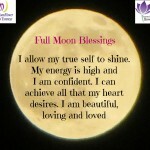 If you have ever felt mesmerised at the beauty of the Full Moon – shining her silvery light over your night time world – then you have also tapped into our moon’s potential to transform. We all know that our moon follows a (roughly) 29 day cycle and that the ocean tides are pulled by the gravity of the moon and we can predict the high and low tides by just knowing the moon phase. Couples plan conception according to lunar cycles; hospitals (e.g. A&E and maternity units) bring in more staff during the Full Moon period and I have heard many stories from mothers who find their small children are more prone to temper tantrums at this “full” energy time. Yet how many of us have also considered the potential of the moon and her cycles to positively impact on our ability to make change in our lives? During the waxing phase of the moon it is much easier for cells in our bodies to draw things into themselves while during the waning phase of the moon it is much easier for the cell to release. 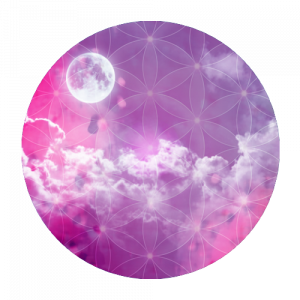 This means that any intentional work we do with vibrational medicine during specific moon phases can be supported by the energy cycles moving through us. 3. Allow yourself to flow with the natural energies around you. So many women (I was like this for many years) believe they need to demonstrate the same levels of energy 7 days a week, 52 weeks a year. Allow your body and spirit to experience the ebb and flow of energy and ensure you build in as much rest as you do “action” time. 4. Use natural modalities that bring you closer to your true nature and encourage you to FEEL more deeply. 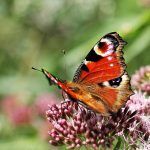 Flower essences can be very helpful as supports for change and transformation. None of us need to go it alone – support is all around us whoever we are and wherever we live. This is a time of great change on our beautiful planet and the more we find ways to allow ease and grace to guide us forward, the more joyful our journeys will be. Please leave a comment on my blog and let me know what results you got. P.S. And if you would like personal one on one support to help you transform into all that you came here to be, I would love to hear from you. You can get in touch via the Contact Form on this website.